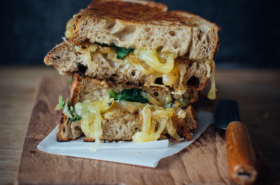 This is a recipe with chicory that I chose to post this week, ideal as appetizers or on-the-go snacks -yeah, cheesy snacks are cool too-. 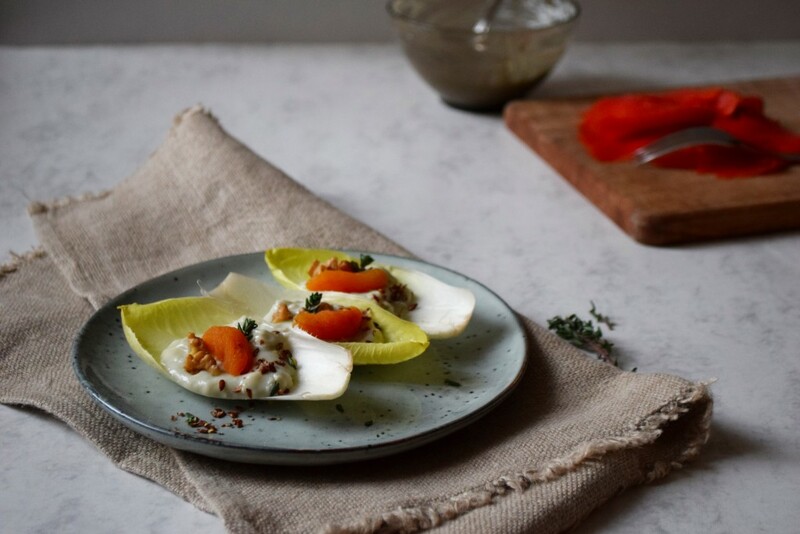 The chicory leaves are stuffed with some Gorgonzola cream, then topped with a little piece of dried apricot here, a walnut there. I didn’t plan to add fresh thyme to the recipe, but I finally thought that it was bringing a bit more dynamism and freshness to this Chicory salad. 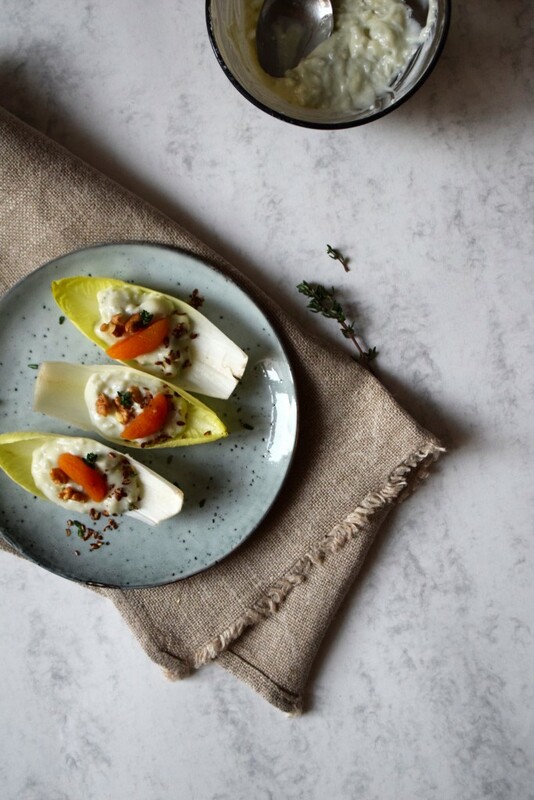 Even though I’ve never been a fan of endives au jambon or roasted chicories -aka one of my childhood culinary traumatisms, but still a way far from blood sausages or tripe -, I adore them as a salad or as a chicory crumble, when we can add a ton of cheeses or nuts of all kinds. For the addicts of recipes with chicory, you can also find one of my first crash-tests that I realized when I started to blog 4 years ago: a chicory crumble with hazelnuts, dried grapes & feta cheese (the recipe is only in French, sorry for that) – my deepest shame is also included in the recipe, particularly when I look back on my very first food photos…-. One chicory • 90g Gorgonzola • 80g Quark • 5 or 6 dried apricots • a few walnuts • a few blades of Thyme • flax seeds • salt & pepper. 1. Wash delicately the chicory and take over the damaged leaves if necessary. With a sharp knife, take off the heart of the chicory – while trying to cut a cone – which is often the cause of its bitter taste. Pluck all the leaves off the chicory, and use in priority the biggest and prettiest ones – which are more practical to stuff -. 2. Prepare the Gorgonzola cream: in a bowl, mix thanks to a fork the Gorgonzola cut in pieces with the Quark. You might obtain a creamy and homogeneous texture. Salt and pepper as you wish. 3. 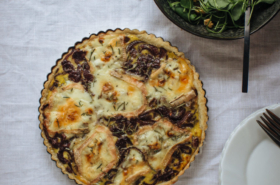 Arrange the chicory leaves: take a pretty chicory leaf and stuff it in the middle with a spoon of Gorgonzola cream. 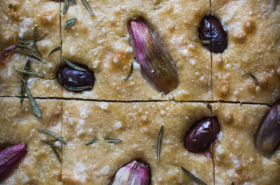 Top it with a half dried apricot, a walnut kernel and a small blade of fresh Thyme. Repeat until you don’t have any cream left. 4. Serve the chicory leaves like this, very fresh and dusted with some flax seeds as appetizers or as starters with some slices of wild smoked salmon. You can use the chicory leaves left in a simple chicory salad.